Rocket League Autumn Update Releases September 28 | Nerd Much? Finally LAN support for PC players. Psyonix will be launching quite the hefty update for Rocket League this fall, so strap in and get a load of these new features, maps, and modes. First and foremost comes the Farmstead. This is a seasonal arena that will be available in Competitive, Casual, and Private modes. The map will only be around for a limited time, hence the title of seasonal. As you can see in the trailer, this farm lies in perpetual twilight with the sun reflecting off the fiery orange leaves, barns, and farm equipment. Second, there will be over 90 free customization items that you can acquire in the drops after matches or from Trade-Ins. These items range from Uncommon to Black Market, so there’s plenty to collect and play for. There’s is also a new car coming to the Accelerator Crate, the Jäger 619 RS. If you didn’t guess from the name, this battle car is inspired by a few different European high-end cars, like the Ferrari. You can also win trails, goal explosions, and animated wheels from the Accelerator Crate. Next we have the introduction of Player Banners. You can now see your username on your choice of six banners. Some of them are fairly badass, like the Starbase ARC, other reflect the humour of the game: a bouncing unicorn, a penguin with a space helmet, or a pizza dripping cheese. The Autumn Update also heralds the end of Competitive Season 5 and the beginning of Season 6. During the new season you’ll be able to win Player Banners specific to the highest skill tier you reached. All of them are variety of dragon coiled around the banner with the appropriate color, like Bronze, Silver, Diamond, and a bright glowing purple for Grand Champ. The rest of the update includes improvements to the gameplay. There are now transparent goalposts, limited-time events for the season, decryptors (rare items that can unlock any crate), improved in-game blog, director mode (a new spectator mode), and finally LAN support for PC players. 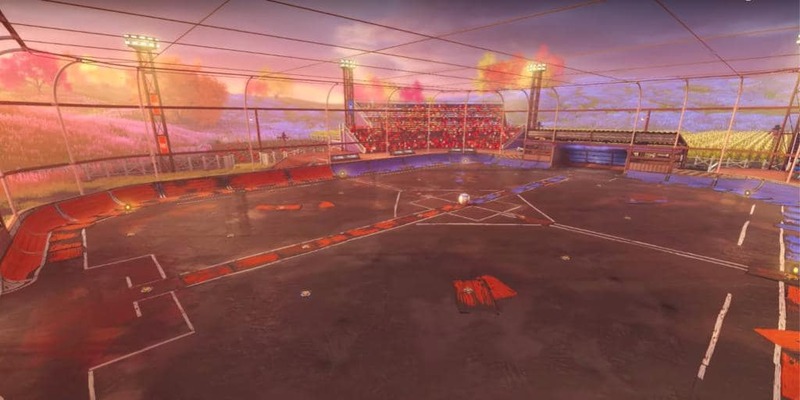 Rocket League is out now for the PS4, Xbox One, and PC. The Autumn Update will launch September 28, 2017.